The Golden Triangle is a transportation hub. The neighborhood is connected to every part of Washington, DC and the surrounding area with multiple modes of transportation. Three Metro stations with six entrances serve four rail lines, while dozens of Metrobus and Circulator routes round out the mass transit options. More than 400 bike racks, and a rapidly-expanding bike-lane infrastructure have led to a bustling cycling community, while the 25,000 parking spaces, and easy access to major streets in all directions allow for easy access by car. Commuters, visitors, and residents find the variety of transportation options ideal whenever they frequent the area. Metrorail services the Golden Triangle at three stations with six entrances. The Red, Orange, Blue, and Silver lines connect the neighborhood to Northern Virginia, Montgomery and Prince George’s Counties in Maryland, as well as numerous neighborhoods and business districts through the District of Columbia. Free above-ground connection to Orange, Blue, and Silver lines via Farragut Crossing to Farragut West station when using a SmartTrip card. Free above-ground connection to Red Line via Farragut Crossing to Farragut North station when using a SmartTrip card. Click here for a full Metrorail map. More than 5 million Amtrak passengers a year come through DC’s Union Station, which serves the bustling DC – New York – Boston corridor, while also connecting to Richmond, Virginia, and Charlotte, NC. 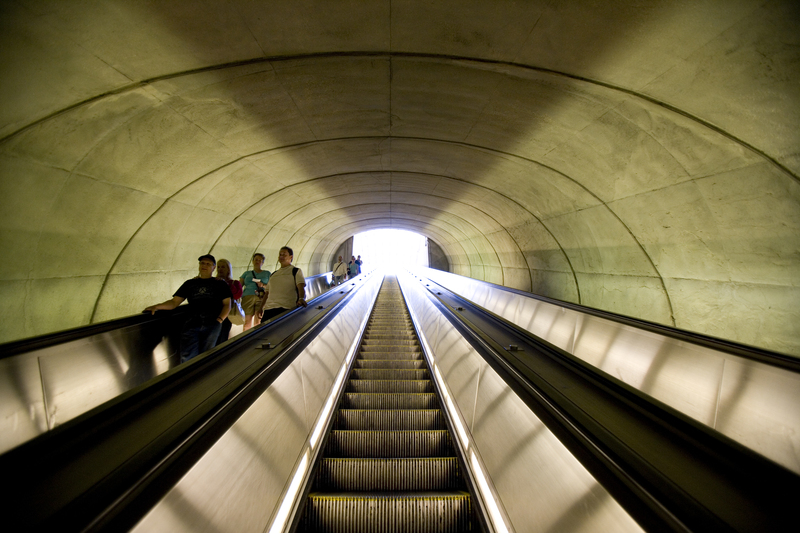 Union Station connects passengers to the Golden Triangle by way of Metro’s Red Line to Farragut North station. Regional commuter rail service on Virginia Railway Express (VRE) and MARC connects the Golden Triangle to Baltimore, MD and Frederick, VA (among many other towns and cities in the metro area) via Metro’s Red and Orange lines. More than 60 Metrobus routes service the Golden Triangle at approximately 45 stops, making over 1,600 trips a day through the neighborhood. Two Circulator lines service the Golden Triangle. The Dupont Circle – Georgetown – Rosslyn line and the Georgetown – Union Station Line. Circulator fares are $1 and the buses service each stop approximately every 10 minutes. 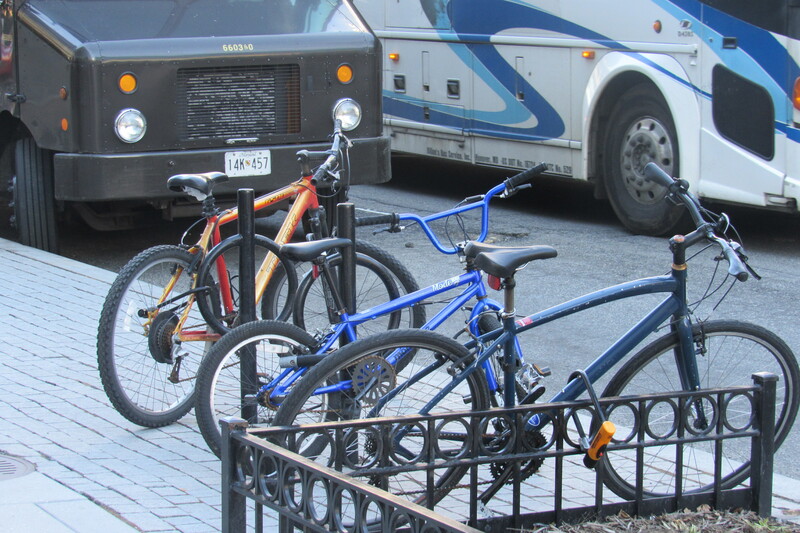 Numerous commuter buses make the Golden Triangle easily accessible from locations as far away as Frederick and Calvert Counties in Maryland, and Loudon County in Virginia. With parking for more than 800 bikes and more than a dozen Capital Bikeshare locations, the Golden Triangle is a bike-friendly neighborhood. The expanding bike lane and cycle track network makes riding in the neighborhood safe and convenient. Bikes are available to rent throughout the Golden Triangle through Capital Bikeshare. There are more than a dozen Capital Bikeshare locations. 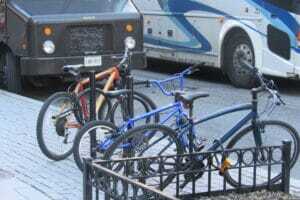 The bikes are available 24 hours a day. 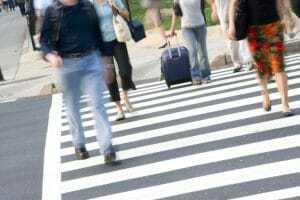 The zip codes that make up the Golden Triangle are some of the most walkable zip codes in DC, according to Walk Score. People can find almost anything they need within walking distance, making the Golden Triangle a highly desirable place to spend time. Connecticut Avenue, K Street, 17th Street, 18th Street, and 19th Street – some of DC’s most heavily-traveled arterials – run through the Golden Triangle. Combining those streets with the neighborhood’s close proximity to I-66, Rock Creek Parkway, and the Whitehurst Freeway makes the Golden Triangle easily accessible to the all sections of the city as well as Maryland and Virginia. There are more than 100 parking garages in the Golden Triangle with capacity for more than 25,000 cars. Short-term car rentals are available through ZipCar. There are more than a dozen cars in a variety of convenient locations in the Golden Triangle. car2go has a fleet of cars that drivers can pick up and drop off throughout the city. Throughout the day, these cars become available for drivers throughout the Golden Triangle. 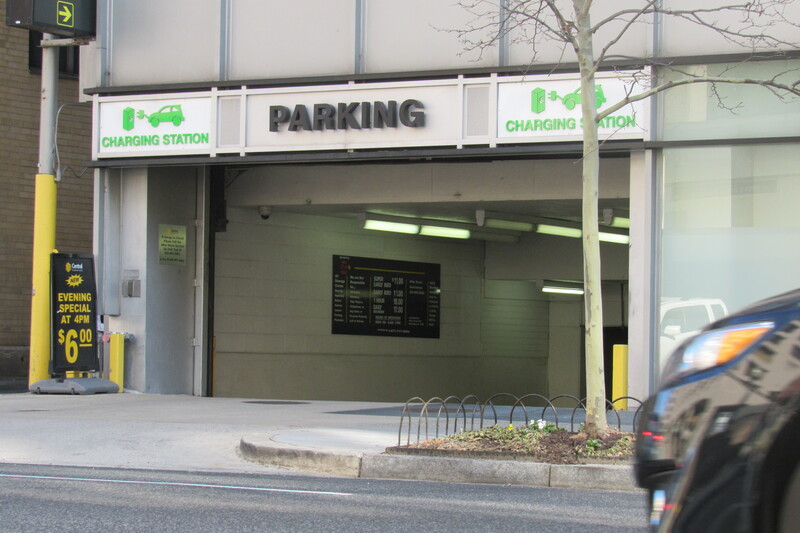 Avis is located at 1722 M Street NW and has many vehicles for short- and long-term rentals. The Golden Triangle is accessible to the three major DC-area airports. Ronald Reagan Washington National Airport (DCA) is approximately 15-20 minutes away by car and is only seven Metro stops from the Farragut West station on the Blue line. Dulles International Airport (IAD) is approximately 30-40 minutes away by car or car service. It is also accessible via Metro’s Orange, Blue, and Silver lines from Rosslyn by Metrobus, or the Silver line to Wiehle-Reston by the Washington Flyer Bus. Baltimore/Washington International Thurgood Marshall Airport (BWI) is approximately 1 hour away by car or is accessible by taking the Red line to Union Station and then the MARC train or Amtrak to BWI.